ACCRA, Ghana — As part of the efforts to acknowledge the work of cocoa farmers to the Ghanaian economy and to promote cocoa consumption among Ghanaians, the Ghana Cocoa Board (Cocobod) has officially launched its 2018 Cocoa Day Exhibition. 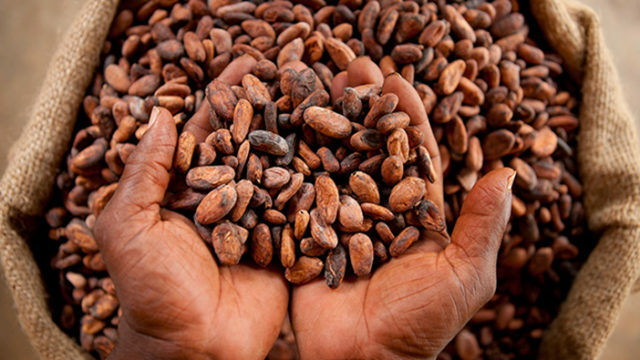 The Cocoa day exhibition which is an annual event will also create awareness on the health and nutritional benefits of cocoa and promotes its consumption among Ghanaians. Speaking at the launch of Cocoa Day Exhibition, Deputy Chief Executive in-charge of Agronomy and Quality Control, COCOBOD, Dr. Yaw Adu Ampomah announced that government as part of the effort to promote Cocoa consumption is supporting COCOBOD to introduced cocoa consumption into the School Feeding Programme. Chief Director for the Ministry of Food and Agriculture, Mr. Robert P. Ankobiah encouraged Ghanaians to consume made in Ghana Cocoa products to generate income for the country. A five day exhibition which started today, 27th September 2017 and taking place at the forecourt of the state house will open up avenues for various stakeholders in Cocoa business to showcase their product and also open business links and networks.